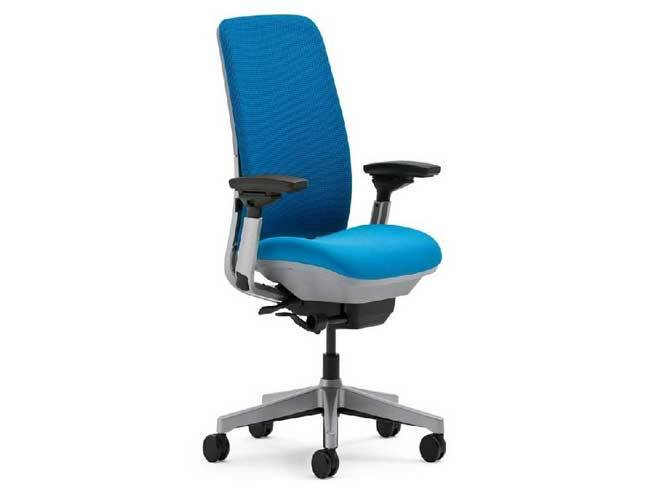 On January 18th, 2012, Steelcase Inc. in cooperation with the CPSC, voluntarily recalled their Amia Desk Chairs due to a potential fall hazard. The pivot pins installed in the control mechanism under the chair seat can fall out, posing a fall hazard to the user. This recall includes the model 482 Series Steelcase Amia desk chairs manufactured between March 1, 2011 and June 6, 2011. The model number and manufacture date are printed on a label on the underside of the chair seat. The seats are available in various colored fabric options as well as leather. About 11,000 of these chairs where sold at authorized Steelcase dealers and retail outlets, including Healthy Back Store, CSN, Home Office Solutions, Office & Company and Sam Flax stores nationwide and with Steelcase online from March 2011 through June 2011 for between $350 and $700. As of January 18th, 2012 no injures have yet been reported, but consumers can check the CPSC website for updates and further information. Consumers should immediately stop using the chairs and contact Steelcase to receive adhesive covers to apply over the pivot pins on their chairs. These pin adhesive covers can be applied without the use of a tool in less than five minutes. The firm is contacting all known purchasers to advise of this situation. For additional information, contact Steelcase toll-free at (800) 391-7194 between 8 a.m. and 5 p.m. ET Monday through Friday. Consumers can also e-mail the firm at retrofits@steelcase.com.